ASC SUNEOR, a modest club from Diourbel, has had a sensational season in Senegal, finishing the season at third place, just one point behind winners AS Douanes. In this post, I will present some key players, as well as basic player statistics. ASC SUNEOR usually played in a 4-3-3 formation. Finding a first-choice goalkeeper proved to be difficult, and three different goalkeepers shared the responsibility throughout the season. Yankhoba Diatta, signed during the mid-season transfer window, proved to be the best of them. The defence was centered around veteran Cheikh Amadou Ndiaye, the former captain of US Gorée. Ndiaye had several different partners throughout the season, primarily Moussa Ahmadou Dieye in the first part of the season, Samba Gueye during mid-season, and Ablaye Diene during the latter parts of the season. Diene, signed from Diambars, proved to be a great signing. Landing Diatta, Dara Diaw and Pape Ibrahima Faye shared the two full-back positions. Souleymane Diallo is the defensive midfielder at the team, usually partnered by Abdoul Diallo / Malick Max Niang and star player Boubacar Cissokho. Mamadou Salif Ndiaye / Mouhamadou Lamine Kané and top scorer Ibrahima Faty was often preferred at the flanks, while Moussa Diedhiou, Pape Ameth Tall, and sometimes Pape Diop played as centre-forward. 2010-2011 AS Dakar Sacré-Cœur(Senegal) 3 ? ? 2011-2012 AS Dakar Sacré-Cœur(Senegal) 2 ? ? 2013 AS Dakar Sacré-Cœur(Senegal) 2 ? ? 2013-2014 AS Dakar Sacré-Cœur(Senegal) 2 ? ? * Boubacar Cissokho, the midfield maestro of ASC SUNEOR has been one of the revelations of the Senegalese Ligue 1 2014-2015. After starring at second-level club AS Dakar Sacré-Cœur for several seasons, Cissokho finally got a chance to play at top level of Senegalese football. Cissokho is creative, has good passing ability, and is skilled at both defending and attacking. After several impressive games, Cissokho was named in the squad of the Senegal B national football team during the season. Cissokho is sometimes referred to as “Papa Cisko”. 2008 ASC Yakaar(Senegal) 1 ? ? 2009 ASC Yakaar(Senegal) 1 ? ? 2013 ASC SUNEOR(Senegal) 2 ? ? * Abdoul Diallo is an experienced midfielder who has a great understanding with Boubacar Cissokho in the middle of the park. In 2014, Abdoul Diallo was awarded as the “Meilleur joueur” (Best player) of the Senegalese Ligue 2 2013 – when he helped ASC SUNEOR win promotion to the Ligue 1. Since returning to the top division, he has not looked back. Abdoul Diallo is sometimes referred to as “Don”. * Souleymane Diallo completes the brilliant midfield trio of ASC SUNEOR. Souleymane Diallo, the team captain, is a holding midfielder who balances the team, giving space to the more attacking minded Boubacar Cissokho and Abdoul Diallo. After winning promotion with ASC SUNEOR in 2013, Souleymane Diallo was named in the “Equipe Type Ligue 2” (Team of the Season). Souleymane Diallo, a member of the Senegal B national football team, is sometimes referred to as “Lodia”. Glimpses of his qualities can be watched here: https://www.youtube.com/watch?v=hZHdtFMwcBE. * Ibrahima Faty is fondly referred to as “Messi” due to his creativity and dribbling skills. Faty is a petit winger who is effective in any attacking role. Faty, the highest scorer at ASC SUNEOR with 7 goals, has had a breakthrough season. Interestingly, Faty was primarily a fringe player during the 2013-2014 season. 2010 UCST Port Autonome(Senegal) 1 ? ? 2011-2012 UCST Port Autonome(Senegal) 2 ? ? * Mamadou Salif Ndiaye, sometimes referred to as “Zale” is a versatile and experienced player who has blossomed at ASC SUNEOR, earning a place in the squad of the Senegal U-23 national football team. His inclusion at Senegal U-23 is somewhat strange, as most sources states that Ndiaye is born 25.06.1986. * Malick Max Niang is another product from the talent-producing club AS Dakar Sacré-Cœur. Niang is a versatile midfielder with a bright future. Niang played for Senegal U-23 during the season. Glimpses of his qualities can be viewed in this video: https://www.youtube.com/watch?v=WqjtJG4CYbo. * Pape Ameth Tall is a big, powerful striker, mostly used as the point-man in a 4-3-3 formation. Tall faces strong competition from Moussa Diedhiou, known as “Adebayor”, but is arguably the most effective centre forward at the club. ASC La Linguère, from Saint-Louis in the northwest of Senegal, is currently struggling in the Senegalese Ligue 1 2014-2015. Nevertheless, ASC La Linguère is an interesting club as they have a strong tradition of player development. In this post, I will share my thoughts on the current squad. Since Khadim Ndiaye (now with AC Horoya from Guinea) left the club after the 2011-2012 season, ASC La Linguère has struggled to find a natural first choice goalkeeper. Currently, Babacar Diaw (b. 14.07.1993) and Mamadou Kane Diouf (b. 03.10.1986) are sharing the goalkeeping responsibilities. ASC La Linguère has two quality full-backs. Valentin Keny, an explosive, attacking minded player, is the first-choice at right-back. Arguably, left-back Mamadou Seck (b. 15.05.1990) is one of the top left-footed players in the league. Full-back Arfang Senghor provides back-up. New signing Matar Lika Boye is playing regularly at centre-back, often together with Ousmane Fall, signed from Stade de Thiaroye before the current season. Nigerian centre-back Emmanuel Kalu Jonathan (b. 19.09.1988) has yet to cement his place in the first team. Team captain Mamadou Aly Diouf (b. 05.02.1991) is the star player at ASC La Linguère. Diouf, a skillful midfield maestro, was the club’s top scorer last season with 6 goals. He is also the current top scorer with 4 goals in 10 games. The squad of ASC La Linguère contains several players who started up at local amateur club Ndar Gueth de Saint-Louis, including midfielders Malick Fall, Khalifa Mbaye and Serigne Souhaibou Fall. The former is playing regularly, and has developed a good understanding with Diouf. The versatile midfielder Moustapha Diop (b. 12.03.1991) is normally one of the first names on the team sheet. The strongman Amadou Younouss Diallo (b. 10.01.1990), and recent signings Djibril Sambou and Papa Sidya Mbengue, are all good midfield options. Ibrahima Ndiaye (b. 06.07.1998) is definitely a player to watch. The 16-year old striker / attacking midfielder / winger, is fondly referred to as “Messi”. Pape Amadou Ndiaye (b. 15.12.1995) is another highly regarded teenager at the club. Standing tall at 189 centimeters, the strongman scored regularly at local amateur club Ndar Gueth de Saint-Louis, but has scored only once at ASC La Linguère. I have a good feeling about Pape Abdou Kader Fall (b. 18.06.1995), sometimes referred to as just “Kader Fall”. The lanky support striker, 192 centimeters tall, has good technical ability, and creates opportunities for more prolific goalscorers, such as main striker Mohamed Remy Gomis (b. 24.11.1990). Gomis has just returned to Saint-Louis after a rather uneventful stint at Portimonense SC (Portugal) and ES Béni Khalled (Tunisia). The lanky striker (190 centimeters) has only scored once this season, and the club will depend on him finding his scoring boots. The club is still waiting for lively striker Pape Ibnou Ba (b. 05.01.1993) and speedy winger Pape Kombo Koné (b. 25.01.1993) to break through at top level of Senegalese football. Powerful striker Mamady Fall (b. 16.01.1993) is primarily a substitute, but has potential. 2007 ASC La Linguère(Senegal) 2 ? ? 2008 ASC La Linguère(Senegal) 1 ? ? 2009 ASC La Linguère(Senegal) 1 ? ? 2014-2015 ASC La Linguère(Senegal) 1 ? ? 2013-2014 ES Béni Khalled(Tunisia) 2 ? ? The picture was found on https://www.facebook.com/lingueredesaintlouis?fref=ts. Squad presentation of Aduana Stars FC. Last update: 17.01.2015. 2009-2010 Accra Great Olympics(Ghana) 1 ? ? 2007-2008 Aduana Stars FC(Ghana) 2 ? ? 2008-2009 Aduana Stars FC(Ghana) 2 ? ? 2007-2008 Liberty Professionals FC(Ghana) 1 ? ? 2008-2009 Bechem United FC(Ghana) 2 ? ? 2010-2011 Bechem United FC(Ghana) 2 ? ? 2003 Liberty Professionals FC(Ghana) 1 ? ? 2005 Liberty Professionals FC(Ghana) 1 ? ? 2006-2007 Wa All Stars FC(Ghana) 2 ? ? 2007-2008 Wa All Stars FC(Ghana) 1 ? ? 2010-2011 Sporting Mirren FC(Ghana) 2 ? ? 2008-2009 Sekondi Hasaacas FC(Ghana) 1 ? ? 2004 Aduana Stars FC(Ghana) 2 ? ? 2009-2010 Aduana Stars FC(Ghana) 1 ? ? 2002 Hearts of Oak SC(Ghana) 1 ? ? 2003 Hearts of Oak SC(Ghana) 1 ? ? 2005 Hearts of Oak SC(Ghana) 1 ? ? 2007-2008 Hearts of Oak SC(Ghana) 1 ? ? 2008-2009 Hearts of Oak SC(Ghana) 1 ? ? 2006-2007 Aduana Stars FC(Ghana) 2 ? ? 2008-2009 Okwawu United FC(Ghana) 2 ? ? 2011-2012 Mighty Jets FC(Ghana) 2 ? ? Squad presentation of Amidaus Professionals FC. Last update: 15.01.2015. 2011-2012 Amidaus Professionals FC(Ghana) 2 ? ? 2011 Enköpings SK FK(Sweden) 4 ? ? 2014-2015 Asante Kotoko FC(Ghana) 1 ? ? 2014-2015 Inter Allies FC(Ghana) 1 ? ? 2009-2010 King Faisal Babes FC(Ghana) 1 ? ? 2011-2012 King Faisal Babes FC(Ghana) 2 ? ? 2003 Feyenoord Academy(Ghana) 2 ? ? 2004 Feyenoord Academy(Ghana) 1 ? ? 2006-2007 Liberty Professionals FC(Ghana) 1 ? ? 2009-2010 Heart of Lions FC(Ghana) 1 ? ? 2010-2011 Tema Youth FC(Ghana) 2 ? ? 2014-2105 Asante Kotoko FC(Ghana) 1 ? ? 2008-2009 Al-Sharjah(United Arab Emirates) 1 ? ? 2008-2009 Wa All Stars FC(Ghana) 1 ? ? 2009-2010 Wa All Stars FC(Ghana) 1 ? ? 2010-2011 Wa All Stars FC(Ghana) 1 ? ? 2014-2015 Ittihad El Shorta(Egypt) 1 ? ? After winning promotion from the Nigeria National League 2014, Kwara United FC will participate in the Nigeria Professional Football League 2015, the top level of Nigerian football. In this post, I have listed players I can document featured for the club during the season. Ismail Shagari is the first-choice goalkeeper at Kwara United FC. The talented shot-stopper was signed from JUTH FC before the 2014-season. Suraj Ayeleso, formerly of ABS FC, gave Shagari tough competition. The defence of Kwara United FC is centered around Isiaka Oladuntoye and Olamide Lateef Adigun. Adigun, formerly of Shooting Stars FC, became joint top-scorer after scoring nine penalty goals. Obadaki Halilu is, as always, dependable at left-back. Abubakar Yusuf, formerly of ABS FC, is arguably the best right-back in the squad. Akeem Onigbari, signed from ABS FC before the season, performed well as defensive midfielder or centre-back. Onigbari is a disciplined, hard-tackling player. Peter Gabriel was a good signing during the mid-season transfer window. Gabriel, also a defensive midfielder or defender, had been a key player for Adamawa United FC for a couple of seasons. Dare Ojo is the midfield maestro of Kwara United FC. The hard-working, disciplined player is balancing the team and dictating attacking moves from his deep-lying role. Ojo is a quality players who has showed that he can perform well at top level of Nigerian football – just like enterprising winger Samuel Adegbenro – the creative force of Kwara United FC. The dribbling wizzard is currently a trialist at Norwegian club Viking FK. The picture, found on www.papsonsports.com, shows Adegbenro in action. Adegbenro has been referred to as the “Nigerian Neymar”. Saheed Babinton Fabiyi, who was part of Nigeria U-17 during the 2007 FIFA U-17 World Cup, is a versatile player who loves to attack from the wings. Fabiyi played for Enyimba FC in 2012. Highly-rated teenage striker Segun Alebiosu scored nine goals during the season, making him joint top scorer at the club. On 26.04.2014, Alebiosu scored 4 goals against Katsina Spotlights FC. Kwara United FC signed striker John Chukwudi during the mid-season transfer window, and the experience of the former Enyimba FC man proved valuable towards the end of the season. Teenage striker Adeshina Issa Gata played regularly throughout the season and had somewhat of a breakthrough. Gata, a skillful player, is a product of the Kwara Football Academy. After winning promotion from the Nigeria National League 2014, Shooting Stars FC will feature in the Nigeria Professional Football League during the up-coming season. The Ibadan-based side is one of the most popular football clubs in the country, and a lot of Nigerian football fans will be happy to see them back in the top league. Although Shooting Stars FC, often referred to as “3SC” or “Oluyole Warriors”, had a good season, the Nigeria National League was no walk in the park. The key behind the club’s success turned out to be their defensive strength. Shooting Stars FC conceded only 23 goals in 30 games. Goalkeeper Abiodun Akande was the first-choice goalkeeper, and the highly rated shot-stopper is good enough for bigger leagues. Francis Edem also had a good season in the heart of the defence. Quite surprisingly, veteran right-back Sylvanus Ebiaku became the top scorer of the club with 7 penalty goals. The picture, found on africanfootball.com, shows Ebiaku. The enterprising Oladele Eweje had a breakthrough season as a creative midfielder. The midfield was balanced by hard-working players such as Sola Adeboye and the experienced Moses James, a key player for Sunshine Stars FC for several seasons. Okiki Afolabi is a enterprising winger who has a bright future. I had expected more from Rafael Ademola, the once so talented winger who has played for CD Atlético Baleares (Spain). The experienced Taofeek Adepoju showed yet again how important he is for the club he debuted for more than 10 years ago. Olamakinde Talabi, the exciting playmaker, showed glimpses of his immense talent towards the end of the season. Obviously, Shooting Stars FC will be needing a lot more goals from their strikers during the up-coming season. Najeem Olukokun, who has played at third level of Belgian football, turned out to be the main striker at the club with 6 goals. Yau Abdullahi, a second striker or attacking midfielder, was a high-profile signing from Kaduna United FC. Surprisingly, he made few headlines during the season. Yemi Adeyeye and Femi Ojo are both hard-working, but not effective enough. Otegbeye Ajibola is a high-profile winger / striker who has a lot of qualities. One of the most exciting players at Shooting Stars FC is definitely Oluwafemi Junior Ajayi, often referred to as Junior Ajayi. 3SC signed Ajayi from First Bank FC during the mid-season transfer window, and after several impressive games, Ajayi was named in the squad of the Nigeria U-23 national football team. 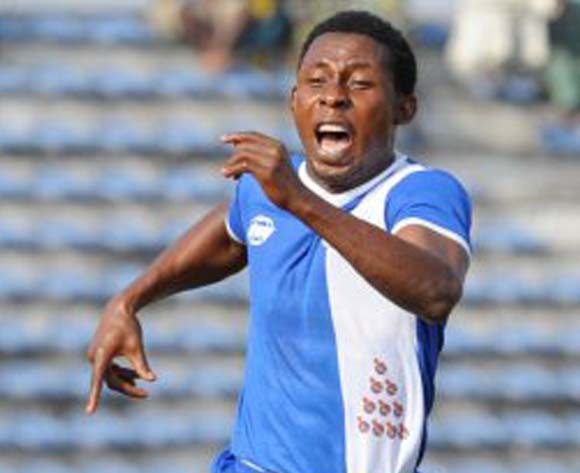 At First Bank FC, Ajayi scored 4 goals, meaning he scored 6 goals in total during the 2014-season. The following list shows the players I can document played at least one game for Shooting Stars FC during the season. 2008.2009 Bussdor United FC(Nigeria) 2 ? ? 2006 Shooting Stars FC(Nigeria) 1 ? ? 2000-2001 Bendel Insurance FC(Nigeria) 1 ? ? 2001-2002 Bendel Insurance FC(Nigeria) 1 ? ? 2003 Bendel Insurance FC(Nigeria) 1 ? ? 2012 First Bank FC(Nigeria) 2 ? ? 2009-2010 Royale Union Saint-Gilloise(Belgium) 3 ? ? 2010-2011 Royale Union Saint-Gilloise(Belgium) 3 ? ?